Windows 7 Reached End of Mainstream Support in January 2015. Extended Support lasts until January 2020. For more details see End of Support. Your Windows 7 OEM or Retail License is eligible for a Free Upgrade to Windows 10 for more details see Windows OEM FAQs and Downloads. For Dell Systems updated Dell Windows Pro 7 January 2016 Reinstallation .isos are recommended. The Windows 7 November 2011 .isos from Microsoft are unbranded and can be used with any Windows 7 OEM or Retail License. For OEM Licenses one may skip the product key during installation to begin a 30 day trial and apply their manufacturers OEM SLP post installation to activate Windows 7. Microsoft’s software download page for Windows 7 is however unfortunately non-functional in most cases. Jan Krohn’s Microsoft Windows and Office .iso Downloader Tool is a utility that essentially fixed the flawed user interface of Microsoft’s software download page allowing the generation of proper download links. It therefore does not matter if you select a Commerical OEM .iso or a Retail .iso. It also doesn’t matter what Edition of Windows 7 you select. For Windows 7 – English UK and English US are the same “Language”. The Microsoft Windows and Microsoft .iso Downloader Tool generates direct download links from Microsoft’s servers. It doesn’t check whether the .iso you downloaded is complete or not. For the English .isos the file size is 2,504,372 KB for Windows 7 32 Bit and 3,243,070 KB for Windows 7 64 Bit. If there is no match your .iso is unique and thus corrupt. For other languages a google search should suffice to make sure you have a non-unique .iso. This .iso was called X17-58996.iso when it was hosted on Digital River before February 2015. This .iso was called X17-58997.iso when it was hosted on Digital River before February 2015. This .iso was called X17-59183.iso when it was hosted on Digital River before February 2015. This .iso was called X17-59186.iso when it was hosted on Digital River before February 2015. This .iso was called X17-59463.iso when it was hosted on Digital River before February 2015. This .iso was called X17-59465.iso when it was hosted on Digital River before February 2015. Note Windows 7 Starter is OEM only and hence not found as a Retail .iso. It is unknown why there is a 64 Bit and 32 Bit Commerical OEM .iso and only a 32 Bit Retail .iso for Windows 7 Home Basic. This Edition is pretty much OEM only however. Power down your Dell and then power up and Press [F12]. For non-Dells you may have to use [Esc] or another Function key [F1-F12]. This will take you to your systems Boot Menu. The Boot Mode should be set to UEFI. Legacy ROMs settings (not shown on the Boot Manager Screen) should be Enabled. Note that early UEFI systems may not have Secure Boot and hence no need for Legacy ROM Settings. For details in Enabling these settings see Unified Extensive Firmware Interface (UEFI). If it doesn’t mention at the top “Boot Mode” then you have an older system with a Legacy BIOS. Note all the data will be lost on your USB Flash Drive when you create a Windows 7 Bootable USB. Insert a 8-32 GB USB Flash Drive, it’ll display under Device. If you have multiple USB flash drives attached ensure you select the correct device. If you are installing Windows 7 64 Bit, the default settings will use the GPT Partition Scheme. GPT has the advantage that it contains multiple Boot Records opposed to a Single Boot Record, can support many more partitions (128 versus 4) and can work with larger drives (>2 TB). The Target System, File System and Cluster Size will be updated correspondingly. It is advised to change the Partition Scheme from FAT32 to NTFS. FAT32 has the advantage that it can pass through Secure Boot, which Windows 7 cannot do anyway. NTFS can support file sizes >4 GB and your install.wim may be >4 GB if you follow my instructions to perform a slipstream. Moreover if you use a NVMe SSD you will get a constant BSOD after installation. With Windows 7 Installation Media being from 2011, in addition to the driver support issues mentioned above, the time it takes to patch a Windows 7 install can take 2-3 times as long as the installation process of Windows 7 itself. I have made a Windows 7 Slipstream Script which slipstreams the Convenience Rollup and it’s perquisite updates, Internet Explorer 11 and it’s perquisite updates, the NVMe Hotfixes, Intel USB 3.0 Drivers, Intel F6 Storage Controllers and the latest Security Rollup for Windows 7 see Slipstreaming Windows 7. I have made the slipstreaming guide as easy to follow as possible but it is still fairly advanced and the alternative solution “Adding USB Drivers Using the Gigabyte Windows USB Tool” and then manually installing the Updates can be used instead (see below). To make your Bootable USB usable on up to 6th Generation Intel Skylake hardware you’ll need to add drivers to the Bootable USB. Alternatively press [Ctrl] and [ f ] and search for Windows USB Installation Tool. For a Bootable USB made from a English Windows 7 64 Bit .iso Downloaded Directly from Microsoft. The process took about 16 minutes in my test. The boot.wim found in the sources folder of the USB was updated from 160 MB to 189 MB. The install.wim found in the sources folder of the USB was updated from 2.75 GB to 2.88 GB. The ei.cfg should be deleted after the Bootable USB is made to allow installation of all Editions of Windows 7 for a Corresponding Architecture. 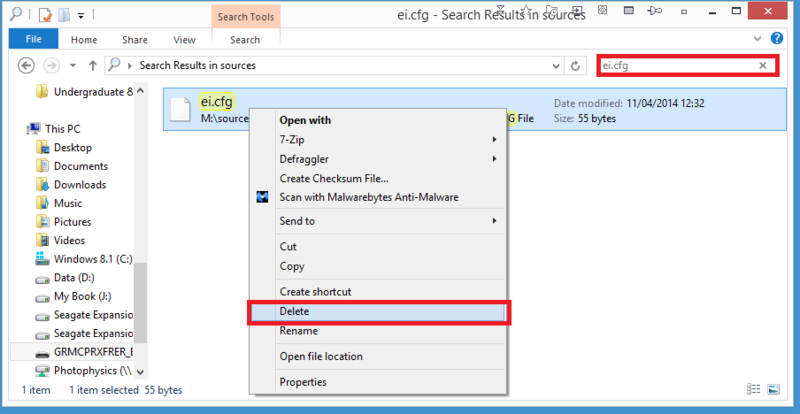 Open up the USB in Windows Explorer go to the sources folder and look for ei.cfg and delete it. It is highly advised to create an Updates folder on your Bootable USB and to download and place the following updates in it. Also make a text file in this folder and copy the information below so you know what order to install the updates in. Installing these updates immediately after Windows 7 will save you Windows Update hassles due to your installation media being >7 years out of date and embedded with Internet Explorer 8 which is no longer supported. A restart is required after each of these updates. A restart is required after this updates. When downloading sort by the latest date, use the latest (non-preview) Windows 7 for x64-based systems update only. If you are using a system with an OEM License (including OEM Downgrade Rights from Windows 8.x Pro and Windows 10 Pro) on a computer manufacturered by a major OEM such as Dell, HP, Lenovo, ASUS, Acer, Compaq, Gateway, Packard, Fujitsu, IBM, MSI, Samsung, Sony or Toshiba you are best to install Windows 7 without a Product Key and activate post installation using OEM System Locked Preinstallation – the same BIOS based Product Activation mechanism of factory settings. Doing so will save you from having to call Microsoft to activate by phone. I have put together the OEM Cert Collection along with an associated 2 line script to install the Cert and Apply the associated OEM SLP Key. After Installation copy the OEM folder containing the cert and OEM SLP key to your C:\ Drive and then run the script file. It is available as a .zip file here. To install Windows 7 see Windows 7 Installation in a UEFI BIOS or Legacy BIOS. Previously there were European Commission N Editions of Windows 7. These are slightly less functional Editions of Windows 7 created because the European Commission didn’t approve of Microsoft bundling Windows Media Player and Windows Media Centre in Windows 7. However like the European Commission they are extremely unpopular especially in the Anglosphere. The Windows iso Downloader no longer seems to list N Editions however in the off-chance they are shown you should avoid them as your Product Key is unlikely to work with them. Thanks for letting me know, it is now amended. You need to purchase a product key or you can install without one for a 30 day trial. 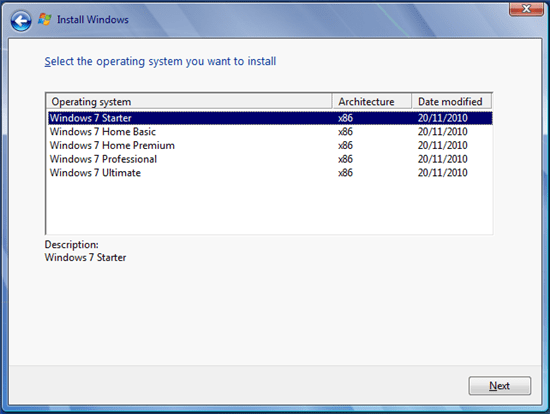 If you have a system which came with Windows 7 Home Premium OEM preinstalled e.g. from Dell there should be a COA affixed to the system (maybe in the battery compartment of laptops or computer cover of desktops). You can purchase a retail/OEM Windows 7 Home Premium license from the likes of NewEgg, Amazon etc. and input the product key provided to activate. I’m going to use your files and tutorials to do clean installs of windows 7 on (3) oem machines this weekend (all machines have windows 7 COA stickers). I figured clean installs are going to be MUCH faster than installing via the oem recovery media, which puts a massive amount of bloatware that bleeds everywhere…no matter how hard I try, I cannot get rid of it all. I’ve already contacted microsoft support, and they said that using the digital river iso’s on oem machines is perfectly fine…as long as the product key on the COA sticker is valid for the windows 7 version on the iso. Thanks so much for putting this together! This will save a lot of hassles with Microsoft Product Activation in particular if the COA is faded. I only have the Dell activation files so this is particularly important if your systems are not Dells. Clean installs have always been much faster and efficient in my experience. This is for Windows 7 the OEM or Retail version of 8.1? Use the Home Premium or Professional 32 Bit version and create a bootable USB. Once the bootable USB is made delete the ei.cfg file. 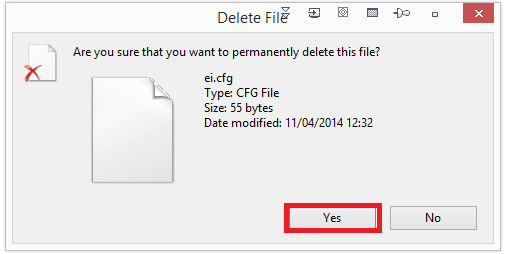 The ei.cfg will select the version to install automatically and deleting it gives you a screen presenting you with the option to install Starter. This is explained in more detail above. For HP I have the files for Home Premium and can probably make these up for Professional and Ultimate from that (I have not uploaded these yet and these are untested). If the system has a Windows 7 Professional COA included then you can use the 25 Digit product key on that and manually activate via phone. They are untested however should work on HP systems like the Dell ones work on Dell systems. Replied to your post on the Dell Community Forums. I bought a new Dell Windows 7 Professional 64-bit SP1 installation DVD on eBay. The intended recipient PC will not boot to it. I can not open the CD. I have three PC’s running here. They don’t recognize it. What easy step have I missed? What model(s) of Dell? Can you read the DVD in Windows Explorer? This is an E521. Oddly, it has a Vista sticker but XP OS. Just as when I try to boot to it, when I try to read to it in Explorer, the DVD drive eventually just flashes and everything stops. OK now get this. I have a ten year old Compaq Presaro with XP. I push in the disc and it says blah blah your PC isn’t up top specs for this OS. But I can read it in Explorer, see the folders and everything. Okay so you have a Windows Vista Business COA with downgrade rights to Windows XP. Firstly did you get a new product key with the Reinstallation DVD, if not you should know that the System Locked Preinstallation key from the Windows 7 Reisntallation DVD will be rejected in your system as Dell never sold it with Windows 7. Yes, I have a product key. The other PC is old, too, a P4 powered unit, and it won’t read the disc either. The Dell E521 will not read it, and I installed the new HDD and tried with an XP disc so I know the DVD player is working OK. I think this is just too much BS and I’m going to send it back. The seller said I could install this on any computer blah blah blah. The Pentium 4 PC will likely have a CD drive only therefore won’t read a DVD. You can install using a retail .iso and make a bootable USB as instructed on this page. The important thing is the product key not the DVD. Thank you so very much for your interest and responses. I used burnaware (free) and installed the OS with no problems, except the last two times setup rebooted it booted to USB and I had to manually redirect the boot to HDD. Very simple, very easy to adapt to a new way, even for me. THANK YOU!!! Perfect helper. After hardware failure all I needed was a $50 new hard drive in my Dell laptop and this instruction set. first of all i would like to thank you for this wonderful service and help you are doing for all of us..i really want to thank you from my heart..thank you sir..thank u.
i am trying to download dell oem windows 7 home premium 64bit sp1 iso file..but after downloading and mounting it through daemon tools , in my dvd drive it shows as windows proffesional and not home premium..can you please check at your end?..have the iso’s been misplaced? ?..i dont want to delete ei.cfg file because my pc was home premium so i presume it will automatically get activated..and i also have my genuine win7 home premium 64bit sp1 key with me..
once again..philip sir.. i want to thank you..really thanks a lot..
it states that for dell users the recovery partition will be obsolete after reinstall! I’d hate to loose that! Is this true ? Was also wondering if a reinstall or factory reset would effect my entire hard drive or only the system partition C: ie not my extended partition i’ve created to store data ?? Many many thanks in advance since I know you’re the expert on this! If you go through the procedure of manual clean install with a Windows 7 .iso the recovery partition will be rendered useless. Moreover if you have extended and shrunk the main partition, Dell Backup and Recovery may not work, rendering your recovery partition already useless. It usually does not like users or software/malware resizing partitions on the main drive. If you delete all partitions during the clean installation you can install Dell Backup and Recovery after Windows Updates and driver installation and make a new recovery partition from your clean install. You can try updating to the latest version of Dell Backup and Recovery which has some fixes and enhancements to address some of these issues. If it installs okay and finds the recovery partition, make the Dell Backup and Recovery media. In the case of the Studio 1747 it will have a legacy non-UEFI BIOS so the Recovery Bootable USB is recommended (although that models probably modern enough to be able to also boot from an external hard drive). You can use it to restore the hard drive to factory state including the recovery partition. I’ve tested this even after a secure wipe with DBAN. Its advisable to maybe make 2 Bootable USBs as a backup just in case. You should ensure you use the latest version of Dell Backup and Recovery before proceeding. You will see all the screens from the Recovery USB however my particular guide goes through deletion of everything and reverting to the factory state (the image of my clean installation). There are however options to perform the factory refresh instead of the factory recovery. I have to admit I have not tested the creation of other partitions using a third party utility or at clean installation or the factory refresh function. As mentioned I need some additional hardware to make a Dell Backup and Recovery Guide that I am satisfied with (and I have got some of this additional hardware). However I also need time and right now I am writing a PhD thesis moreover there should be a major update to Dell Backup and Recovery in March which would automatically make the guide obsolete. By that time I should have all the hardware I need and perhaps some time to do testing and write tutorials. Wow. Ok, thanks a lot for that amazing reply! Try a different internet connection, this download often times out at this size with a slower connection. I just spoke to Jan at Heidoc.net theres been some issues with the servers the last few days. Things are beginning to return back to normal but are a bit slow. Try again tomorrow. I bought it from another person and it had the partition erased. Now im running W10 pro Insider preview, instaled over a pirate copy of W7 ultimate. -X17-58868 (W7 pro latam, 3.175.808 Kb) This is from digital river according to the link and it´s the same version. Most probable that both versions will be pirate? I created a Windows 7 Professional SP1 .iso from a Dell Windows 7 Professional Reinstalaltion DVD with SP1 and it was exactly 5,488,294 KB. I never uploaded my .iso but I’m sure others followed the same procedure. I don’t know the size of X16-96091 but X17-59186 was 3,243,070 KB in size. It depends on how you define pirate? Is downloading a .iso from an unofficial source to reisntall a genuine license pirate? I will propably try to use the X17.59186 wich is genuine from digital river and follow your Oem (the one with ABR folders) tutorial to activate it. I will wait to see what they do with windows 10, at the moment i will keep testing versions after the 29th of july according to what i read. X17.59186 .iso worked ok with your guide, now windows is activated and updating. thank´s! Hi, i have acer laptop which came with preinstalled OEM win 7 Home basic. Now i am using cracked version of windows 8.1. I want to downgrade to win 7 home basic but i dont have any recovery disc and no online download is available can you please help me out on this. me too same issue..i downloaded dell oem windows 7 home premium 64bit sp1..but after download is completed..i mounted the disc..it is professional edition..not home preimum.. please check and change the link..plzz..i need it urgent…or should i download proffesional?..is it home preimum? ?..i mean have they been misplaced?? ?..please reply…. Okay I looked into it. The .iso is wrong, I had made a mistake with WinImage and copied from the optical drive when making the USB 3.0 .iso (twice). For this reason both .isos are Windows 7 Pro. My original .isos are correct however. I’m working on a new procedure to make an .iso with USB 3.0 inbuilt. I have tested with Windows 7 Professional and it works, I will carry out the same procedure with Windows 7 Home Premium and Windows 7 Ultimate. They will however take some time to upload. no problem at all philip sir..i will wait for your perfect work to complete..you dont know how much big help you are doing us all..you are simply great..i dont know hw to thank you..i really needed oem win7 dell..and you have made it all available to us..thanks you…philip..
I’ve tested the Pro .iso using a UEFI BIOS but not had time to use the Home Premium or Ultimate one yet… I don’t anticipate any problems however. Thanks for the SP2 setup files… still leaves a lot to desire (from MS mind you)… Had to add some extra usb3 drivers for HP in boot.wim and install.wim. After install Windows Update was still stuck at ‘searching for updates’… after hours I shut it down and its installing 109 updates… Thought the SR was updated up to April 2016? Ofcourse MS should have supplied updated install media to ‘genuine’ customers, OEM or not, for YEARS. But nope… they don’t care. Weird behaviour. I just realised I uploaded ones without USB 3.0 so I have updated the Home Premium 64 Bit and Professional 64 Bit .iso. I will upload the Ultimate one later. It said on the Microsoft website “This rollup package includes most updates that were released after the release of SP1 for Windows 7 and Windows Server 2008 R2, through April 2016.” but didn’t include IE11. Having to install 109 is still too many but beats over 200 which I had to install in the past. Microsoft should have made up to date .isos available every 6 months, never understood their resistance to do so…. Hi, I just downloaded your 7 Professional SP2 x64 USB 3.0.iso but after installed, is still showing SP1? Note Microsoft silently released Windows 7 Service Pack 2 silently at the End of April 2016. They however called it KB3125574 “Convenience Rollup Update for Windows 7 SP1”. This rollup package includes almost all the updates that were released after the release of SP1 for Windows 7 and Windows Server 2008 R2, through April 2016. In other words this is the 5 year awaited “Windows 7 Service Pack 2“. KB3020369 (Perquisite update for Service Pack 2) is required before installation of KB3125574 (Service Pack 2). For whatever reason Microsoft’s marketing team seem to be against the word Service Pack since Windows 8 was released… I will refer to this as Service Pack 2 however. Try the new 64 Bit .isos I made it took some time but they have some 84 updates slipstreamed now… (GWX updates not included). They also have USB 3.0 and NVMe. I had an Acer laptop with Windows 7 Home Premium 64-bit. Unfortunately, the laptop motherboard died a couple of months ago and I thought I’d migrate the laptop hard drive to a spare Dell Optiplex mini-tower that I have. However, the system got stuck on “Starting Windows” loop and wouldn’t even boot in safe mode. I tried to use the Acer’s recovery utility, but it has made matters worse and the system is now completely hosed. There’s no “Startup” screen/logo, and pressing Alt-F10 no longer takes me to Acer Recovery – apparently, the Recovery Partition is no longer there. I summary, I am stuck with a Dell mini-tower, a hard drive with a corrupted installation of Win 7 Home Premium 64-bit, and a Certificate of Authenticity for Windows 7 Home Premium 64-bit from the Acer laptop. First of all the license is OEM – Original Equipment Manufacturer. An OEM license is a cheaper Windows licence designed to by preinstalled and supported by OEMs. As an OEM can only support their own hardware the main limitation is the license is non-transferable i.e. is permanently tied to the original hardware specifically the motherboard… So you’d have Microsoft Product Activation issues after attempting the transfer. Second of all the OptiPlex likely has a substantially different chipset so the Windows 7 OEM install won’t boot. Attempting to restore to the recovery partition if it was there would flag up that the system is non Acer and give an error message. What model of OptiPlex? What license does it have? I have a Gigabyte P67-UD4-B3 motherboard with an Intel i5-2500K CPU which is running a legally activated version of Win 7 Pro SP1 x64 with no further updates. I have tried using your Dell Win 7 Pro SP2 x64 iso image mounted using WinCDmu 4.0 to do an in-place upgrade but about three-quarters through the process it rolls back to my current configuration. What would you suggest is the best (or easiest) way to upgrade to “SP2”? Bare in mind Microsoft call “SP2” a convenience rollup. The chances are you already have it if your Windows SP1 is up to date. I just want to say THANK-YOU for saving me a 39.99 fee that I would have to pay DELL for the recovery disc. Kudos to your work!! — You’ve Made the differences. thanks for helpful site. One issue though, 64bit SP2 IE11 on Googledrive is empty. Onlz 32bit contains ISO files. Both folders show files for me (not signed in on inprivate browsing). Thanks a lot for all the guide, however I don’t know if it’s only happening to me, but looks like there is a bug in all the windows versions you have delivered, because I always get the same exact issue no matter which version I install, soon or later when I restart my computer the PC starts trying to configure some “updates” than never go over the 30% completed, and then when the computer starts again, ask me to run “windows startup repair” to load a backup of the system and doesn’t let me enter to Windows nor gives more options than that, then after ran “windows startup repair” I read the report of what has been fixed and the list says that everything was fine, however when I finally access to Windows again, all the last programms I’ve installed have been deleted , but I have tried many ways to find out the problem, to see if my programs are really the issue, also I have disabled the Windows update but I realized that are not my programs, because each time that I format the laptop are deleted different programs, and which programms are the deleted depends on if where installed before of after the drivers of DELL for the laptop, and it’s worth to mention that I have downloaded the drivers from the official DELL support web like 3 different times and formatted my laptop trying to find out the issue like 7 times in 2 weeks. My laptop model is an XPS L502x. Well, I’ll trully appreciate if you can help me on this and thanks in advance. Thanks a lot for all the guide, however I don’t know if it’s only happening to me, but looks like there is a bug in all the windows versions you have delivered, because I always get the same exact issue no matter which version I install, soon or later when I restart my computer the PC starts trying to configure some “updates” than never go over the 30% completed, and then when the computer starts again, ask me to run “windows startup repair” to load a backup of the system and doesn’t let me enter to Windows nor gives more options than that, then after ran “windows startup repair” I read the report of what has been fixed and the list says that everything was fine, however when I finally access to Windows again, all the last programms I’ve installed have been deleted , but I have tried many ways to find out the problem, to see if my programs are really the issue, also I have disabled the Windows update but I realized that are not my programs, because each time that I format the laptop are deleted different programs, and which programms are the deleted depends on if where installed before of after the drivers of DELL for the laptop, and it’s worth to mention that I have downloaded the drivers from the official DELL support web like 3 different times and formatted my laptop trying to find out the issue like 7 times in 2 weeks. My laptop model is an XPS L502x. Well, I’ll trully appreciate if you can help me on this and thanks in advance. I have tested the .isos particularly the 64 Bit Professional on an OptiPlex 390/790, 7010 and Latitude 7350 they all work. More details… you have an XPS L502x. You are performing a clean install of Windows 7 or an upgrade install? Do the Dell F12 preboot diagnostics pass. Are you installing Windows then the drivers and then programs and then updating? With GWX being removed its possible Microsoft have changed something with Windows Update. It says the files have been repaired, but the errors show up every scan. I have tried replacing those files with the copies in the amd64 folder and with ones from another computer, but then the scans say all of them have errors. I have tried doing the install twice, once after wiping with DBAN, and the other using diskpart, and both times I get the same results. I tried a different ISO and those errors did not appear. I keep trying your version because it looks nicer and runs smoother (albeit with SFC errors). All of these installs have been with the hopes of getting my wifi connection back, which stopped working shortly after upgrading to Windows 10 (from 8.1). I tried a bunch of different fixes, but nothing worked. Downgrading to Windows 7 has unfortunately has not helped either. There are no network controllers in my device manager. I have tried every driver on the Dell ftp site and none work. The 1703/1705 drivers fail to install and the 1704s ask me to “Activate Bluetooth Using Wireless Switch”. I install the chipset drivers first, install both the system software and quickset drivers, messed with the power settings, and drained the battery…nothing helped. The Dell site says my computer was shipped with the 1703/1705 wifi card, but based on current scans it says 1704. I had it working before using 1704 drivers, and the actual network adapter says 1704. Not sure if that is why I’m having problems. If you have any advice about the SFC errors or the wifi issues I would love to hear it. Not sure about the SFC errors… I can try loading in a VM later and see if I can reproduce it but since it “fixes” it and says the problem is there again… I would trust the .iso more than the SFC scan… I have tested they .iso and the installs are stable. If you are getting errors for both thats a problem… can you give me hardware IDs. If nothing shows try to turn the wifi switch on and off. You may need Dell Quickset to do so. Your W 7 Pro 64bit SP2 iso worked perfectly for me when I reinstalled W7 on a Dell E6430 Laptop that I’ve just bought. Hello .. Please clarify the capacity requirement for the flash drive? “it must be 8 – 16 GB” Does that mean that a flash drive larger than 16 GB won’t work? I have a 64 GB drive. I couldn’t find any USB 3.0 drives that small, locally. If it must be 16, I’ll have to shop Amazon. You need to format the USB as FAT32 meaning you’ll lose any storage capacity above 32 GB… unless you format it as NTFS in disk management later. Personally I’ve not tried a >32 GB USB flash drive as there has been no point. With the cost of flash ram dropping so much so fast, there’s only a few bucks difference between 16GB and 64GB drives. I suspect that small USB flash drives will soon become an endangered species and get harder to find at the local big box electronics stores. You’re doing a great service .. thank you! Some more details as I realise this comment is for the Windows 7 guide and not the Windows 10 guide. For Windows 8.x/10 Installation Media to pass SecureBoot you need to use FAT32 which means you are limited to 32 GB. As a USB Flash Drive can only have 1 partition its storage will be docked if a USB Flash Drive is 64 GB or greater. A USB HDD/SSD or internal HDD/SSD can have multiple partitions so can have a small FAT32 Boot partition and then larger NTFS partition. This has caused issues on the forums where users thought they had broke their USB flash drive by making Windows Installation Media. You should be able to use the 64 GB USB to make Windows 10 Installation Media. You will need to use Disk Management (right click start and select Disk Management) to delete the FAT32 partition and make a single NTFS partition. 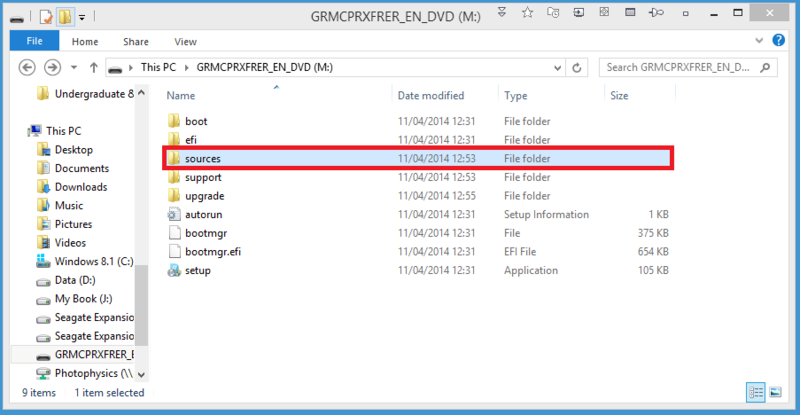 However because this guide is for Windows 7 (which cannot pass SecureBoot) and not windows 8.1/10 the USB Flash Drive can be setup to use the GPT partition scheme and NTFS. This configuration has to be used as the “Windows 7 SP2” .iso has a file on it (the install.wim) which exceeds 4 GB. I just used 16 GB drives as they are what I have too hand. Not sure how 64 GB USB flash drives will cope but it should be fine. Wow! Finished!! This was remarkable … Thank you, again! Great! 🙂 You used the Updated Windows 7 .iso? Did Windows Update work okay or did you need to use WSUS Offline Update first? I’ve spent 5 days trying this and fail every time. I have a brand new XPS 13 9350 with Win 10. Your instructions differ in 2 places from what I experience. 1) The BIOS has an option for Enable UEFI Network Stacks that is defaulted to disabled. 2)In using Rufus, the is no Fat32. It’s either exFat or Large Fat so I selected NTFS as you recommend. After booting into the Win 7 install, I can’t get past the error ” A required CD/DVD drive device driver is missing.” I’ve tried many attempts of different scenerios injecting Dells drivers iaStorAC.inf & iaAHCIC.inf into a your iso, my own iso via NTLite and using Rufus without luck. In several cases, NTLite fails warning me that those drivers are wrong – recall they came straight from Dell for this purpose. Can I not install Win 7 after booting into 10 via setup.exe? I don’t have the hardware to test with. Have you tried using the Windows 7 Pro with USB 3.1 image. Do you get the same results? If you are asking if I tried with your download, I don’t recall because I’ve tried so many combinations. I’ll give it another try and let you know. If it doesn’t work, should I try downgrading the bios to your version? If so, what ver is that? How do I downgrade a bios? 3.1 doesn’t come with any .inf files. There is a .iso I made updated to June 2016. There is also Windows 7 Pro .iso made by Dell up to December 2015. Although I added NVMe support and used the Intel USB 3.0 creator utility… and my .iso has more updates slipsteamed. The Dell .iso contains some additional drivers. I’ll give it a try but I really don’t thing drivers dated 2015 will work on brand new hardware. The XPS 9350 was released in October 2015 at the same time as the Precision 7510/7710 which the .iso was supposedly released for. I downloaded it the other night so I’ll give that a try today and let you know the results. I purchased another XPS about the same time or further back than October and had no problems downgrading it to Win 7. I don’t recall if it was Win 8 though. Either way, this tells me that the SSD and Bios have been changed since then. If not, could I simply make an image of that XPS for the new one I’m having troubles with? The 2015 download ver worked!! Thank you for allowing me to hassle you with my issues. Your site is now a permanent addition to my Favorites lists! Just for the record, I successfully got past the CD required error for the following XPS 13 9350 purchased 8/2016 using the download you noted in the comment above dated 11/09/2016 AT 19:07. 5. I manually added a USB boot device but did not use it in lieu of item 3 above via the Bios auto detection. The 2016 version would have been updated if (1.) I knew exactly what additional drivers Dell had added… and (2.) I had 6th generation Intel hardware to test with. Also (3.) it take a long time to slipstream the updates to the .iso and a long time to upload the .iso. The 2016 .iso that I created then updated from my Reinstallation DVD can likely be used for hardware up to the Intel 5th generation processors. I had issues when I tested the Skylake .iso with the 2nd generation Intel Processor (OptiPlex 790/7010) and 5th generation Intel Processor (Inspiron 7347). Hence the guide doesn’t recommend this .iso in most cases. P.S> can you Press [Windows] and [ r ] and type in msinfo32 and press [Enter]. Then can you let me know your SMBIOS version. Is it by any chance 2.9? I ran into one small glitch. After deleting and formatting the partitions, it would not allow me to install on them. The error msg said the drives had to be formatted as NTFS – which they were. So I exited the setup and rebooted on the same USB to get back to the same spot hoping it would recognize the correct format. As I speak, it’s finalizing the installation. I’m replying to your email that is not posted above. It’s a sweat machine. Great response and graphics. Thanks wasn’t sure if there was a new SMBIOS version. This means its not possible to distinguish 6th and 5th generation systems using the SMBIOS like I had hoped. “6”200U is 6th generation. It is a Skylake processor. I have a Samsung laptop model R440 with a 64bit OS running Win7 Home Premium SP1. I called Samsung Service Center and they wanted me to bring my laptop down and their techs will reinstall Win7 for me… for an exorbitant fee which is more than half the price if I were to purchase a new Win7 key!!!! Can help me break it down in layman terms of what I should do? Sorry if I am asking too much. But whatever help you can give would be greatly appreciated. I just need a workable ISO copy of Win7 SP1 for my laptop. If you input your Windows 7 Home Premium product key during installation it will automatically select Windows 10 Home and activate when online. First of all, I would like to thank you for a great post with lots and lots of information. My mother’s laptop is a Toshiba Satellite C55-B5350 which originally had Windows 7 Pro OA X18-82072 but I assumed she upgraded it to Windows 10 when that rolled out. I believe the hard drive is completely empty, except a 30 MB Boot drive I can only access when trying to load drivers. I followed the steps of downloading Windows 7 Pro SP1 COEM, then using Rufus with a 64gb USB and the “MBR partition scheme for BIOS or UEFI”. Everything loads correctly and the first couple of prompts go smoothly but once I get to the part of installing Windows on to a Disk it fails and spits out an error of “Windows is unable to install to the selected location. Error: 0x80300024.” I’ve tried looking at other sites and forums but everyone else had multiple disks/partitions and were typically dual-booting. I just have one disk showing, titled “Disk 0 Unallocated Space”. How should I move past this error in order to do a clean install of Windows? It’ll have better inbuilt driver support as it is 2016 installation media. Great job on the Win 7 guide! Please tell me what I am doing wrong! I want to re-install Windows 7 Home Premium 64 bits on a Dell Inspiron N5110 of 2012 with a non UEFI BIOS. I downloaded the iso from your site. I used Rufus 2.11 to check the integrity of the file. Everything is fine. I transfer it to an 8 gig USB drive using your instructions for a non UEFI Bios. I boot the laptop with the USB key, the Windows installation begin and now I have the popup telling me a driver is missing (like you said on your guide). On another USB drive, I has downloaded the SATA drivers, I browse my USB drive to find the F6FLPY-X64 folder, I select it, press NEXT. And 2 minutes after I receive that popup mesage: “No new devices could be found. Make sure the driver files are correct and located on the driver installation media. I tried to install the same driver from the Dell Drivers CD. Same error. I tried to install the SATA driver from my hard drive with the old installation of Windows 7. Same error. At that point, I think the installation process want another driver (not the SATA), I have tried ALL the drivers on the Dell Drivers CD of my Inspiron N5110 computer. Always the same error message. What is my problem? Where I do a mistake Phillip?? The .iso is good if the checksums match the ones I list. Although your system just missed out on a UEFI Boot it does have some newer hardware such as USB 3.0 ports and you will get such an error message if using a USB 3.0 port… The system has (2) USB 3.0, (1) USB 2.0 and (1) USB 2.0 with E-SATA Power Share ports. Thanks for the great guide. I know you specialize in Dell but I thought you would probably know. I have a 6 year old major partner oem (Sony Vaio), i7, Windows 7 Home Premium, SMBIOS 2.6). From your guide, it looks like I can upgrade to Windows 10 but it is not recommended or supported by Sony. Is it possible to use my Windows 7 oem product key to dual boot Windows 10? Thanks in advance and any info is appreciated. You can clean install Windows 10 Home using your Windows 7 Home Premium Product Key (regardless if your OEM support it or not – likely all the drivers are inbuilt to Windows 10 Installation Media or obtained automatically via Windows Update). You can clean install Windows 7 using OEM SLP. This guide gives instructions in doing so although you may want to use the Backup feature of the ABR program for your Sony (as I haven’t done in depth testing for Sony systems). Thanks so much for sharing your knowledge. It’s really appreciated. dan (earthdragon-you helped me install Windows 10 on my Inspiron 660 recently). Thanks for the very helpful tutorial. I have used a Dell windows 7 professional iso trying to install windows 7 professional on a Dell XPS 8910. Everything went well until the last step (ie. completing installation). At that stage, the computer will not reboot, and the next stage prompt to set the user’s and computer’s name did not appear. Wondering what’s missing. I have been trying to resolve this for the past 24 hours and would appreciate your thoughts. Many thanks. Are you using the Dell Skylake .iso? Do the checksums match? Have you removed all peripheral devices except the mouse and keyboard? I want to thank you for all the effort you have put into this content. I only wish I found it sooner. I have been going through some of the material related to the ISO files and believe that you have updated the 2 32bit windows 7 ISOs but not the articles content for checksums and files sizes. The article refers to April 2016 files, but the file names say September 2016. Also in the Skylake article http://dellwindowsreinstallationguide.com/download-dell-windows-7-64-bit-reinstallation-sp2-oem-iso-for-a-uefi-bios/ you reference both English and multi-language ISOs. The multi-language ISO is under the NEW folder. Not sure what is under the old folder. Can you also please reconfirm that the files in the “Dell Windows 7 OEM” are your slipstreamed versions of the Dell OEM product, not Dell OEM product (with the possible exception of the Skylake multi-language ISO). I am also not clear on the Skylake article about the applicability of the 2016 DVD to older hardware. You also indicate at the bottom that the new images in this article are for the newer Skylake, however I just downloaded the Dell images from download link at Dell. I have a 7010 and a 3020. The ISO’s downloaded were the WGC5Y_2FR1DA00_W7SP1PRO64_ENG.iso)(the English only version)and G13K9_PW4KGA00_W7SP1PRO64_ROW(DL)ISO respectively. I have not tried to install either and do not plan to in the short term, though I may try one on an older Dell Optiplex 780 which does not offer a download file, but I have available on the bench. 2 – add a text file for each download with some clarification as to the contents and with the checksums. There are 2 Dell Skylake .isos. The multi-Language one which I have uploaded and I haven’t bothered with the English only one as the multi-language .iso also effectively covers this. These Skylake .isos have been modified by Dell to include drivers for 6th Generation Intel Skylake Systems. The old one is one I got when helping out someone who contacted Dell support before Dell released the official Skylake .isos so it is an older one. This older one did not allow one to load other SATA drivers. I think the official one should work with older Dell systems. In fact I’ll just delete this from the drive. The Skylake .isos were released before Microsoft made the convenience rollup (April 2016). Slipstreaming the convenience rollup is slightly cleaner but I was unsure if I got all the necessary drivers for 6th generation hardware such as Samsung SSDs which is why I continue to recommend using the Skylake .isos on Skylake hardware. Now September 2016… I had attempted to slipstream more and more updates. However the .iso got larger and larger and the Security updates were obsolete the next month etc etc. so it was pretty much pointlessly increasing in size. Moreover Microsoft started releasing monthly Security Rollups. I therefore reverted to the April 2016 .isos (plus added additional storage controller drivers). At present the 64 Bit ones are April 2016 however it looks like I forgot to upload the 32 Bit ones so they are the paradoxically “older” September 2016 ones. They should work but I’ll need to upload the April 2016 ones next time I’m on a fast/stable connection. Okay the 32 Bit ones are now updated to the April 2016 ones and the checksums should match. It’s been a bit of a horror show the last 24 hrs testing the 2 Skylake images and the DellWin7Professionalx64.iso. Long story short, on my Optiplex 780 test box I got 0x80070570 and later 0x80070015 errors. The 0x80070570 errors were installing over the existing D0V2K install, one each for all 3 ISOs. The 0x80070015 error occurred with the English only Skylake of a freshly formatted drive (G-Parted). After this I had issues with my USB device and discovered some bad blocks. Not sure if this is a factor, but still all the installs that failed with 0x80070570 did so at the exact same point. I just found the post 14/9/16 (with great Dell link) where you said you had issue on the 790 and 7010 (Interestingly, noted above, the Dell download for the 7010 is the English version of the Skylake ISO), but not clear why your image failed to load on the 780 (I will retest with a fresh USB stick when I can). Is this based on the 2011 DVD D0V2K? The 0x80070015 error looked like this http://www.dell.com/support/article/us/en/19/SLN300564/dell-systems-with-the-intel-skylake-or-braswell-chipset-cannot-boot-to-dell-windows-7-media-due-to-no-usb-20?lang=EN . Regarding updates, I think keeping the ISOs up to date for hardware drivers should be good enough. Again, I will suggest adding a Readme file to the G-Drive in each folder. The “old” 32 bit files now show an April 22,2017 date and 2 of the 64 bit ISO’s “April” files a December 15, 2016 date. A note about which generation of CPU is supported would also be good. Yesterday I tried to restore my old Windows Backup Images to the 780. On reboot the system went into repair and was unable to fix the problem. I installed a clean version of Win 7 from the D0V2K DVD and all was fine. I then retried the saved ImageBackups which still failed. The MS note alone did not solve the issue. I had to set the ATAPI key to “0” in addition. This particular reply by Speedstep had a interesting comment that I thought may explain why the newer MS ISOs fail to work with some of the older hardware. It looks like 9.6.0.1014 is the latest offered for the 780, not sure what version is in the Dell ISO or how to validate chipsets to versions. Might injecting the driver during install fix this issue? Q: I can’t find some Windows and Office editions and languages that were available in previous versions. A: Microsoft has blocked the downloads for Windows 7 as well as Office 2007/2010. We’re working on getting the most important versions back, but it takes time to do so. Thanks the changes must have been fairly recent. What language/.iso were you looking for?